To file a complaint for divorce, you have to have to cite a reason. These are known as as grounds for divorce in Maryland. They are listed in the Maryland Code. The Code has both fault and no-fault grounds. Fault grounds, such as adultery, desertion and cruelty, are factors the court must consider in determing alimony and distribution of property. You may have, and plead, multiple grounds for divorce. Or, like in the following case, the wife may plead one ground and the husband may plead another. Who gets to pick the grounds on which the divorce is ultimately granted if more than one applies? Mary and Timothy Welsh married in 1961. Timothy had degrees in accounting and law and was licensed as a real estate agent. Mary took care of the house and their four children. They acquired a 22 acre property during the marriage. Mary left Timothy in 1994 and filed for divorce based on adultery. Timothy counterclaimed for divorce after two years of separation. The trial court said that Mary failed to prove adultery but Timothy conceded it at trial. Nonetheless, the trial court granted the divorce based on separation. It is ultimately up to the court, based on its fact finding, to declare the grounds for divorce. It is not reasonable that the court be obligated to grant the divorce on the grounds requested when the judge is more persuaded that it is more likely than not that other grounds for the divorce are more justified. The Maryland legislature added Mutual Consent as grounds for divorce for couples without minor children in 2015 to allow divorce without a waiting period if the parties had a written agreement. Section 7-103 of the Family Law Article of the Maryland Code. Now the legislature has added couples with minor children to the statute so long as (a) a Maryland Child Support Guidelines Worksheet is attached to the Agreement if the Agreement provides for child support, and (b) the court finds the sections of the Agreement with respect to the children are in the best interests of those children. The law, if not vetoed by the Governor, will take effect October 1, 2018. During those first two months of marriage, Sameeha asked her husband to take her out somewhere. While they were out, she asked him to buy her a shawarma, which is a chicken wrap sandwich. He told her he that he already bought her juice and that’s it. He said that she was trying to exploit his wealth. Sameeha filed a complaint for divorce. To get a divorce, you have to have one of the reasons spelled out in the law. These are call grounds for divorce. One of the grounds for divorce in Maryland, for example, is cruelty and excessively vicious conduct. California has irreconcilable differences. And England calls it behaviour. This morning my wife alerted me to an article in Harpers Bazzar last week called “If You Are Married to a Trump Supporter, Divorce Them” by Jennifer Wright. “The problem is,” I replied, ”my spouse voted for Trump is not grounds for divorce in DC, Maryland or Virginia. http://tgclawyers.com/wp-content/uploads/2018/05/tgc-logo-1.png 0 0 James J. Gross http://tgclawyers.com/wp-content/uploads/2018/05/tgc-logo-1.png James J. Gross2017-08-17 16:46:332018-06-26 17:27:44Is Your Spouse a Trump Supporter? Levitation as Grounds for Divorce? An Italian man claimed in his divorce that his wife was possessed by the devil and could levitate. According to an article by Jon Lockett in the Sun, the woman’s’ sister, a priest and a monk were witnesses to her floating off the ground and they also said she also threw a church pew at the alter with just one hand. The judge granted a no-fault divorce to the pair based on one year separation. http://tgclawyers.com/wp-content/uploads/2018/05/tgc-logo-1.png 0 0 James J. Gross http://tgclawyers.com/wp-content/uploads/2018/05/tgc-logo-1.png James J. Gross2017-04-12 15:19:312018-08-07 19:38:20Levitation as Grounds for Divorce? In Algeria, we hear that a woman has filed for divorce after three months of marriage because her husband will not shave his moustache. Do you have grounds for divorce if you find your spouse among the 37 million hacked users of Ashley Madison, the dating website for married people looking to cheat? In DC, the answer is no. There are only two grounds for divorce in DC — six months voluntary separation or twelve months involuntary separation. But the court must still consider marital fault, among other factors, in deciding alimony and property distribution. 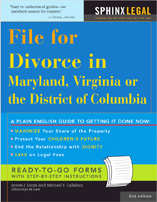 Maryland and Virginia have fault and no-fault grounds for divorce. Adultery is a fault ground in both states. Using Ashley Madison by itself does not prove your spouse has committed adultery. But it is probably enough to plead adultery in a complaint for divorce. Then you have to obtain the evidence. You can use then use the court discovery rules to ask your spouse directly. Your spouse must answer under oath and penalties of perjury. Your spouse may take the Fifth Amendment but the divorce court is allowed to presume this means that adultery was committed. And some spouses will lie. In addition, Maryland and Virginia require corroboration of the adultery by independent evidence. So you may still have to hire a private investigator to follow your spouse. Despite what you see in the movies, the private eye doesn’t usually burst into the hotel room with a camera. You can use circumstantial evidence to prove adultery with inclination and opportunity.